Best Cultural Stop in Dubai! A wind tower or Barjeel is the traditional architecture found throughout the Arabian Gulf, in particular Dubai & Bahrain, and also throughout Persia, parts of Pakistan and Afghanistan. 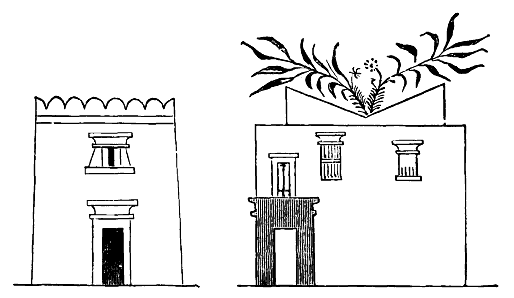 Its origins go as far back as Ancient Egypt, with examples of wind tower construction dating back to 3100BC. In arid climates the wind tower acts as a ventilation system allowing hot air to rise out the top of it, and cooler directed winds to flow down into the home. 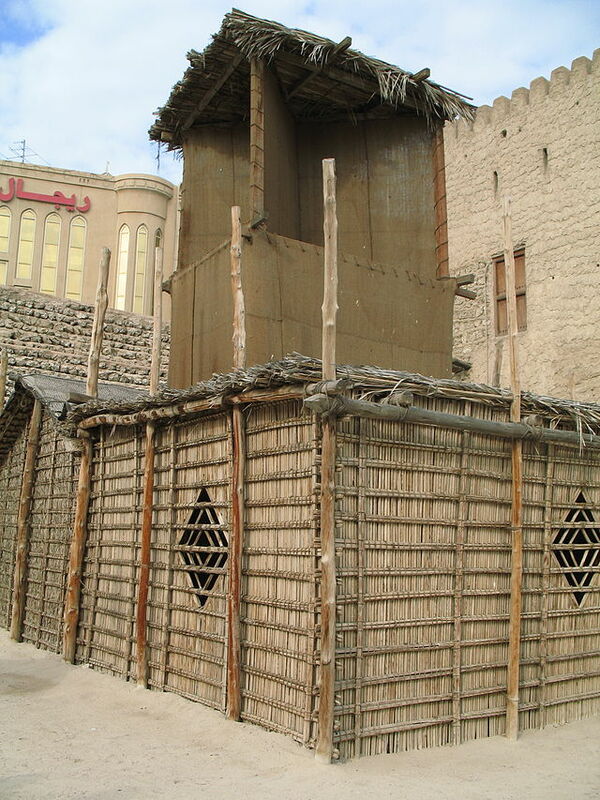 Wind tower houses along the Dubai Creek were constructed of palm fronds known as Bait Areesh and was the standard material used for constructing homes in the region pre-1900’s. The Coral or Sea Stone home locally known as Bait Morjan was constructed using sea stone and coral from the Dubai Creek which was stacked in a bricking fashion, set with a mixture of mud, sand, gypsum and sometimes limestone. Later the building was covered with a layer of sand, mud and rock for added insulation and protection. The oldest of these types of homes date back to the late 1800’s. Historians attribute the abrupt change in building materials to a fire that swept through the Deira side of Creek in 1894, virtually destroying most of the market and surrounding Areesh homes. Residents looked to a more fire resistant material in the construction of their homes and sea stone and coral were readily available. In the 1980’s a restoration project began to preserve these original homes along the Dubai Creek. The area known as Al Fahidi Historic District, (Al Bastakiya) is the center of the restoration effort and the neighborhood, open to the public contains more than 55 homes. 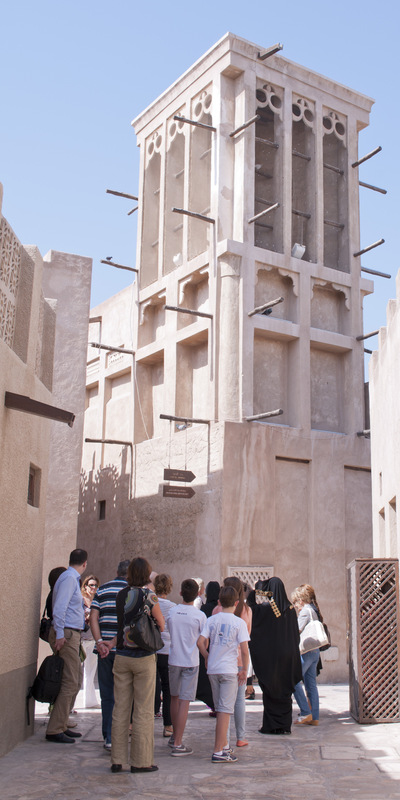 The Sheikh Mohammed Centre for Cultural Understanding has called this neighborhood home since 2004, and occupies one of the original wind tower houses. Visitors can take a tour of the neighborhood with the centre year round. The second phase of restoration is continuing in Al Shindagah area and currently you will find a labyrinth of historic homes and Mosques, as well as the Diving Village. The Sheikh Saeed House now a museum, is one the original residences of the ruling family and formerly the seat of government in Dubai. These historic areas are open year round, but the best times to visit are in the cooler months so that you can spend more time in the beautiful neighborhoods meandering through the homes, art galleries, restaurants, boutique hotels, museums and cultural centre. Sheikh Mohammed Centre for Cultural Understanding · Open Doors. Open Minds.